Katja Vujic helped to organize for 50 Emerson community members to go to D.C.
Students watching coverage of the Women’s March on Washington this Saturday may see some familiar faces. With support from the college, 48 students and two faculty members will attend the protest, not to mention students attending independently. The college offered financial support for a bus rental with money from from college offices and organizations, including the President’s Office, the Elma Lewis Center, and Emerson Peace and Social Justice. According to its website, The Women’s March on Washington, which will take place the day after President-elect Donald Trump’s inauguration, is intended to show solidarity with communities that felt threatened during the election cycle, including women who are members of marginalized racial, ethnic, and religious groups. 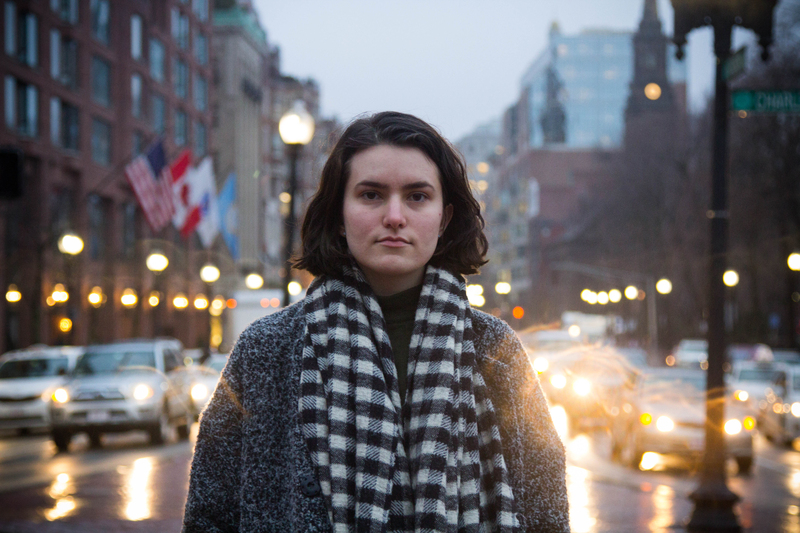 Katja Vujić, junior writing, literature, and publishing major, started a GoFundMe campaign to rent a bus to take Emerson students to the march. Senior writing, literature, and publishing major and fellow EPSJ member Christine Lavosky worked with Vujić to organize the effort. The original campaign, created Jan. 2, was unsuccessful. The GoFundMe raised just $270 of its $4,562 goal as of Jan. 18. Vujić later coordinated with Vice President and Dean of Campus Life James Hoppe and Interim Senior Associate Dean of Campus Life Sharon Duffy to gather funding for the trip. “It’s a great opportunity for students not only to be part of a historical event, but also to learn,” Vujić said. Sara Barber, a sophomore writing, literature, and publishing major, is one of the students taking the bus to D.C.